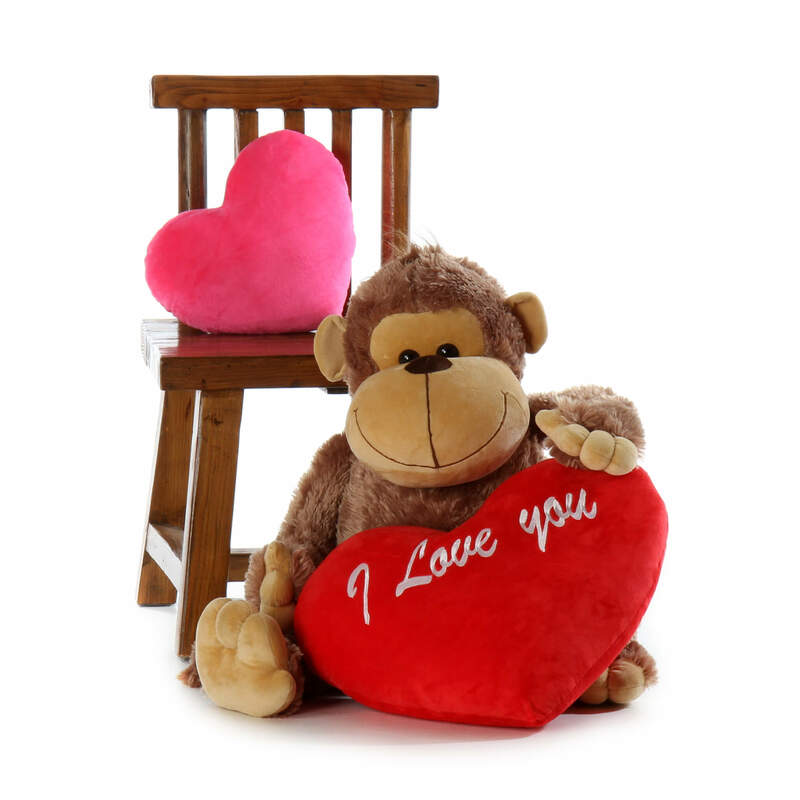 Silly Sammy Monkey is a huge 3ft (34in) tall size, and a big bundle of huggable monkey fun! He has the signature Giant Teddy brand super soft fur, in a rich shade of mocha brown and is so cuddly, you’ll want to hug him all day… when you aren’t busy getting into mischief together, of course. Silly Sammy Monkey has long, lanky arms and legs, big hands and feet and a long floppy tail. He’s holding our custom red plush heart pillow in his monkey hands (Will not be attached [sewed] to monkey) and it says, ‘I love you’ in embroidered lettering. For Valentine’s Day or anytime you need something cuddly and adorable to tell someone special how you feel. How BIG is this Monkey?